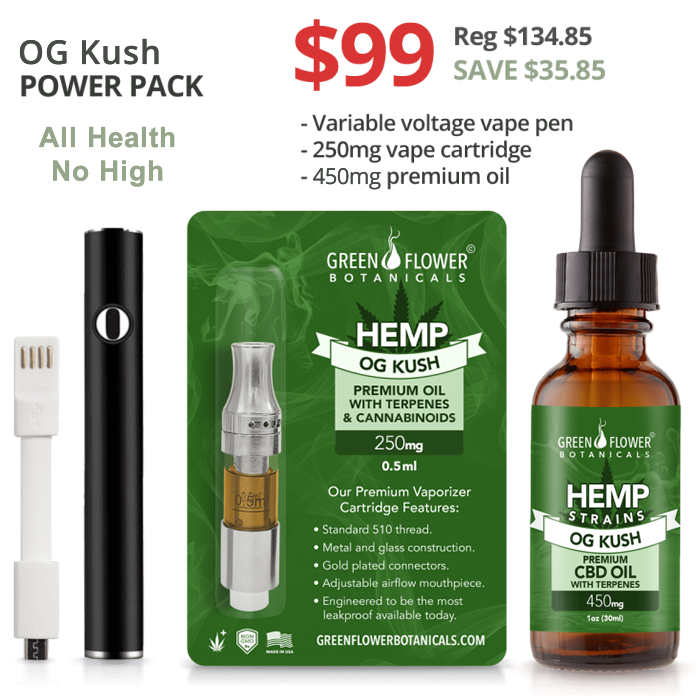 Get a Variable Voltage Vape Pen, a 250mg OG KUSH CBD Vape Cartridge, and a 450mg OG KUSH Premium CBD Oil, for the special price of $99. 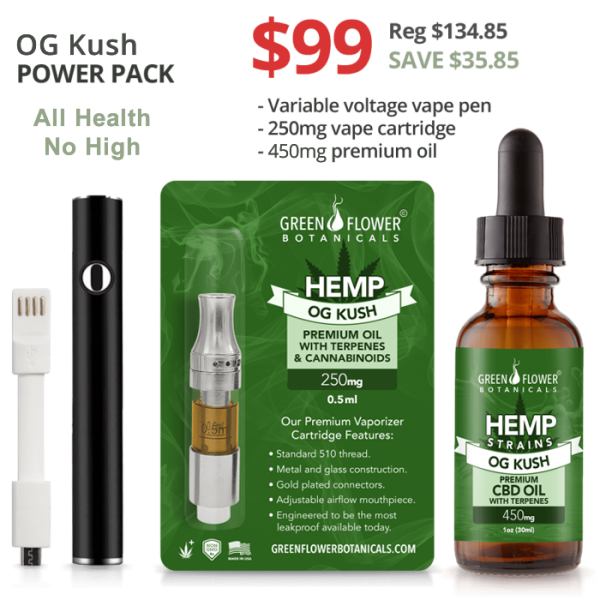 Now you can experience our best selling OG Kush CBD Strain-Specific Oil in both a sublingual oil and a highly-concentrated vapor. This popular strain, known for its anxiolytic (anti-anxiety) and focused energy properties is a go-to strain for those looking for a calming yet focused effect. The 450mg oil is great for precise daily dosing and higher CBD doses. All the while, the vapor can be conveniently carried on your person and used to maintain a gentle relaxation and calmness throughout the day without the high commonly associated with cannabis. Vapor is known to have a much higher absorption rate than sublingual or oral administration. This one-two approach will give you the best of both worlds and help you maximize the effect of this popular strain.